he government has approved to test the CNG kit on a testing basis to GAIL. Honda Activa Launched CNG Model as Pilot project (Currently this prohect is limited to Delhi only). 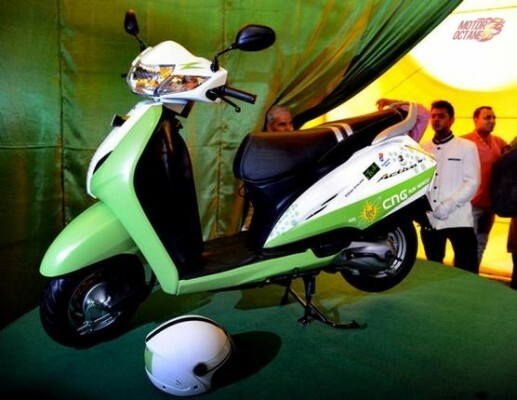 The model comes with a CNG kit with two cylinders, 1 kg gas capacity in each. This will have a run of 120 kms for a scooter. Once this is done, the Honda Activa with CNG kit will be going on sale.